Russian cuisine is the result of the countless influences on a country bordering with multiple continents and cultures. The foundations were laid by peasants who depended on native food, such as hearty soups and stews, well into the 20th century. 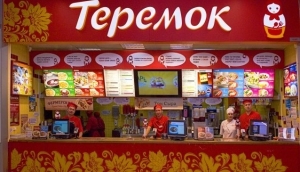 Today, a variety of restaurants in Moscow present locals and foreigners with a more refined version of the local diet. Borsch, caviar and vodka might be the most commonly known but there is so much more. Today’s Russian chefs are masters of their art, always discovering new techniques to produce and present a nutritious Russian dish.